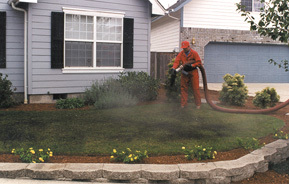 Today, high quality compost combined with the advanced Express Blower application system makes both residential and commercial turf maintenance virtually effortless and with far superior results.  Improves soil percolation rate.  Improves turf rooting and durability.  Can biologically control certain turf diseases.